Tired of long waiting hours at the salon? Not anymore. Get parlour services from senior beauticians in the comfort of your home. We provide services like peel-off wax, fruit facial, Mani-Pedi. You will get hygiene friendly services with disposable items from 4.5+ rated salon experts near you with more than 5 years experience in Ahmedabad. Book salon at home in Ahmedabad and enjoy the service! Dhruvi was professional and friendly. I felt very comfortable and am satisfied with the service. awesome she is always best and has personal touch to whatevery she does. She is really good in her work. It was a first time experience.. i just loved it.. she was humble and sweet.. and suggested the best service.. Hair related services offered in Bapunagar area are root touch up, hair spa, hair color application, henna application etc. You can place your request by answering the questionnaire above in this page. After choosing the required services, you will be able to provide your exact address in Bapunagar. 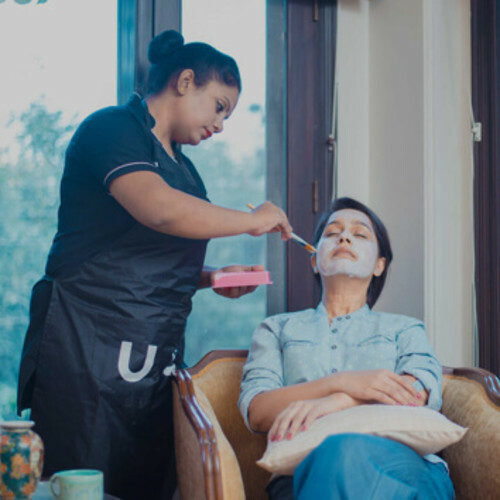 UrbanClap's professional Beauticians in Ahmedabad provide Salon servies for women such as Waxing, Threading, Detan, Bleach,Facial, Pedicure, Manicure, Hair Salon services (excluding hair cut). You can place a request for services of your choice in our questionnaire form on this page and provide your exact address in Bopal. We will assign a Beautician in Bopal or nearest to your area and inform you. We do not provide hair cutting services at home right now. You change the booking time till 3 hours prior to it, through the ‘Reschedule’ feature. While the package cannot be modified, our beauticians are trained to customise the service according to your convenience. Facial and hair spa treatments are best done at home where you feel most relaxed and comfortable. If you remember, you may have had to head out from your home to a salon and spend an entire day out. You may even have had moments when you waited for the right time to go to a salon for a hair spa and facial. Nowadays, you will find salon at home services for your beauty treatments. Expert specialists in the field offer these excellent beauty salon services so that your hair care and skincare requirements are easily met. Save Time: You will end up wasting a lot of time when you visit a salon. You have to first prepare yourself to go out and then wait in the salon until your turn comes. It is way better to book cosmetologists at home as they would arrive at a given time. You will feel more relaxed during the beauty treatment. Feel Comfortable: A salon may have a different atmosphere where you may feel uncomfortable. Moreover, once your beauty treatment is finished you would have to leave immediately to make way for the other customers in line. These are the main reasons why people feel uncomfortable throughout a beauty treatment. With a cosmetologist at home, you can start reading a book, or listen to some of your favourite music while the beauty treatment is going on. You can even rest after the treatment is complete. Relaxed services: In most cases, you will see that salons are packed with customers. The beautician may get distracted from time to time or she/he may even rush through the treatment to complete it quick. When beauticians come to your home, they are there for a selected period and they are not preoccupied with the other clients. Group Treatments: By booking cosmetologists who offer salon at home services for parties, you can even call your friends for a pleasurable pamper session. But, this will not happen at a salon even if you and your friends go together. All of you would have to wait in a queue and would be put in separate rooms. That won’t be fun or even comforting at all. Facial treatment is any skincare treatment that is done on the face and has become the most common among women in the recent years. 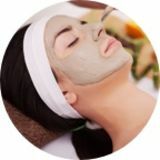 It is also popularly known as a facial and it comprises of massage, exfoliation, steam, and facial mask application. Glow Facial: The skin gets an additional glow with a glow facial treatment. Anti-ageing Facial: Aged people who have wrinkles and fine lines on their skin need to get an anti-ageing facial therapy. The skin gets the proper nourishment and the wrinkles are reduced. Brightening Facial: A brightening facial therapy can enhance the brightness of skin that looks dry. Dehydrated skin can look quite dry and dull. De-tan Facial: To get rid of tanned skin and getting back the original skin tone, a de-tanning facial treatment helps. In this treatment, the products used easily remove the tanning. Cleans the pores: Skin damage is mostly caused by pollution and dust, which stays on the skin’s pores. To fix this problem, exfoliation would effectually remove dirt from the skin’s pores and the skin would look good. 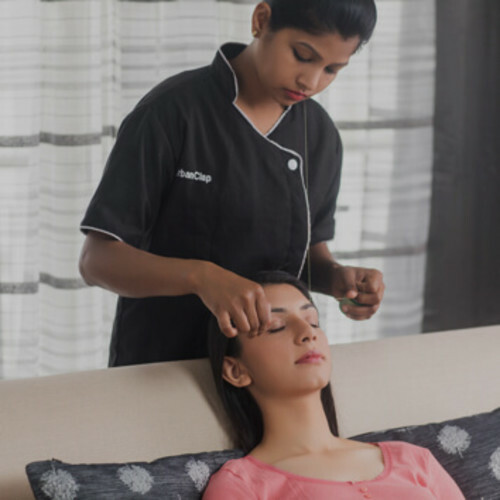 Facial massage: Be it a facial clean up or a facial, a facial massage is the most important step. With a facial massage, the face muscles are loosened, blood circulation becomes better, and even toxins in the body are removed. Due to these factors, the skin looks better. Specific masks depending on skin types: The skin types of people decide what kind of facial masks are required. For example, a moisturising facial mask is best suited for a person who has dry skin. While a gel-based facial mask or a water-based mask can be applied to remove the oil from the pores of an oily skin. When it comes to the frequency of getting facial therapies, most are not certain of how often they should be done. According to what experts claim, young people have younger skin and they should get a facial once every month. On the other hand, older people with mature skin need a facial once in every two weeks. Just like taking care of your face from time to time, you also need to take care of your hands and feet. Dry skin tends to look lifeless and it also shows that you don’t care about how you appear. Cut, File & Polish: This type of manicure consists of nail trimming, nail filing for a selected shape and putting on nail paint at the end. Classic Manicure and Pedicure: Here, nails are groomed and the hands are massaged with hand nourishing massage creams and lotions. Later, nail paint is applied. Spa Manicure and Pedicure: Here, dead skin and tanned skin are first done away with the special products. Once the hand massage is over, a hand mask is applied, after which the fingernails are painted. Detan Manicure and Pedicure: In this type of beauty treatment, select products are used. These products have special detanning ingredients that can make the skin appear lighter. To deal with had tanning, only one session of a detan manicure would work. Soft Waxing: It consists of the process of applying a thin layer of soft wax in the direction where hair grows. A cloth or strip of paper is put on the top. The soft wax between the paper strip and skin pulls the hair from the roots. The cloth has to be pulled from the opposite direction. This waxing method is best applicable for areas containing thinner hair and in lesser density such as abdomen, arms, legs, and back. 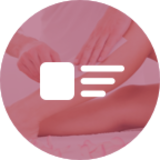 There are two types of soft waxing methods, hot wax and cold wax. Peel-off/ Hard Waxing: In this method, a thick hard wax layer is applied to the body part containing hair and it is then pulled from the opposite direction. This method of waxing does not require a cloth or a paper strip. It is best applicable on the areas that contain coarse hair such as bikini area, underarms and eyebrows. It is a fantastic hair removal method for the face. A cotton or polyester thread is doubled and curled. The thread is then moved over parts of the face containing hair. As this method works on small rows of hair and gives one a complete control to move over the areas, one can get a distinctive eyebrow shape. Threading is very different from tweezing as tweezing can only work with one hair strand at a time. Heal from Within: To make the hair follicles stronger and nurturing its roots, a hair spa provides deep hair conditioning treatments. Increased Hair Growth: A hair spa therapy renews the scalp and helps in the growth of healthy hair. Improved blood supply: A massage in a hair spa therapy leads to better blood circulation that also helps in promoting healthy hair growth. Nourish the hair: In hair spa therapies, the products are good for the hair and they also make the hair look shiny. Longer lasting colours: there are many advantages of a hair spa therapy for people who have coloured hair also. A hair massage in a hair spa therapy helps in nourishing of the hair cuticle, enhances the growth of hair and the length of hair is moisturised. Due to these reasons, the hair colour would last longer and even with a handful of washes would look fresh and new.